Thanks to all the amazing questions and comments our readers have published, LottoExposed.com has changed the format for you. We now have questions and answers area to consolidate better all the fantastic discussions that are taking place. Initially, we figured people would respond specifically to articles and review posted, but there are a lot of questions out there on playing lotteries online. From now on, we have a new area called “Questions and Answers” where everyone can respond to specific threads and topics or start their own. 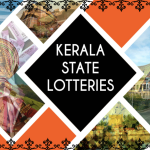 The whole area of playing lotteries online, accessing so many different international lotteries and lottery software available is growing at a rapid pace. So are the scams and scammers. 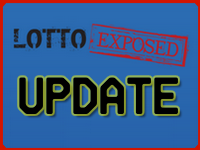 Lotto Exposed is there to help build your confidence and trust with lotteries online. LottoExposed.com has a fantastic team of people who do want to get to the bottom on lotteries, online lottery providers and lottery software. It’s our job to dig deep to find answers to your questions. We continuously review and update our existing articles to ensure they provide the latest information and updates. One of the critical things is that readers who want to ask a question or post a comment follow the thread. If someone hasn’t posted a question on a topic you want to be discussed, start a new thread. This is important so that readers don’t find it difficult to follow the conversation. It also helps our team in putting together priorities in what they are going to investigate and what concerns people have expressed. Each bit of information, each person experience from a reader all helps us narrow down what we are investigating. Basic questions regarding your eligibility to play a specific lottery or through a particular provider should be directed to them. If you do not get a satisfactory answer or you have questions about the answer, that’s when we want to hear from you. We are not looking for your details but the challenges you have faced playing lotteries online. We are not looking for personal information but the guts of the problem so we can help find a solution. This isn’t going to help you win a lottery but will help provide a safe and secure environment where you can play lotteries online. 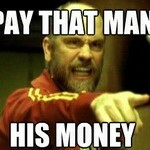 Speaking of which has anyone been keeping an eye on the US Mega Millions draw. Thanks to my LotteryRemind.me reminder (iPhone App), I noted that it is now up to $586 million (!!!). US Mega Millions has been around long enough that this is one lottery that no one should have any questions. We’ve already clarified that anyone can play and win and that includes people outside the United States. But if you aren’t sure, then post your question! This is one mega draw, and I’m getting a few extra tickets. But that’s what we’re here for. Helping you feel confident in getting online and buying lottery tickets for all those amazing lotteries all over the world. Using a trustworthy online lottery provider from the comfort of your couch at home is good fun. It’s like touring the world on your computer, and if you win that mega jackpot, you could be doing it for real. Ask your questions so you can feel confident in playing to win! Talk to us! 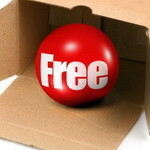 Using Lottery Software to Win the Millions? Start Thinking about Getting a Refund Instead! Is There a Free Lottery? No Way!